Make sure everyone knows who's who at the rehearsal, shower, or bachelorette parties. With our free printable iron on transfers, you can make tee shirts for the rehearsal and after-wedding shindig. Planning a Bachelorette party? 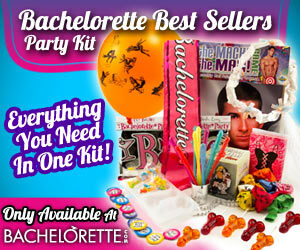 See What's Free at Bachelorette.com! Eco-Friendly Wedding Favors from Beau-coup. Maid of Honor T-Shirts at Bachelorette.com! Free drink recipes for a great girls night out at Bachelorette.com. All you need is a color injet printer and a package of transfer papaer to make these printables into tee shirts for your wedding rehearsal or bachelorette party. It's hard work to be in a wedding, especially if you're a little kid. Make cute tee shirts or rehearsal tote bags for the younger bridal party attendants with these wedding party childrens' iron-on transfers. Click here for Ring Bearer and Flower Girl place card / name card art with borders. Gift Goupons make great shower favors and they're also perfect to tuck into "goodie bags" for members of the wedding party, or to place into welcome spa-style baskets you prepare for wedding guests' hotel rooms. Print out as any of our rose-decorated blank special gift coupons as you need, and add your own details.